Learn English with a dedicated team to help you every step of the way. 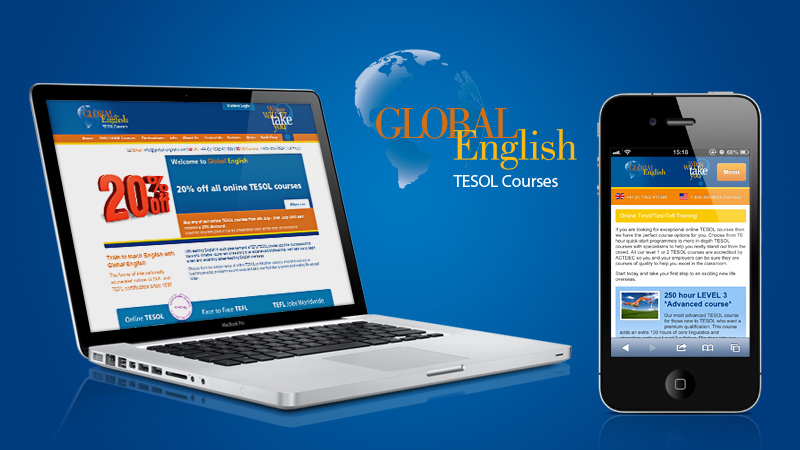 Global English is a company who teach English to all ages. Students have the ability to purchase a course on the website and receive ongoing support and help as they go through the course by the teachers on the website. Their reasonable pricing makes them stand out in their industry. The simplistic design of the website makes it clear for the students to navigate around and purchase courses as desired with our secure payment system. The Student login enables the user to have a home dashboard of where they can track their progress on each of their courses. This site has been developed as a Desktop and a mobile version, meaning you can keep on top of your courses and check any new messages where you are.